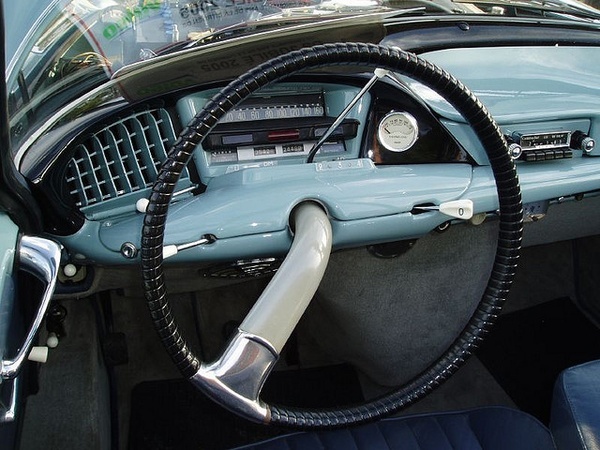 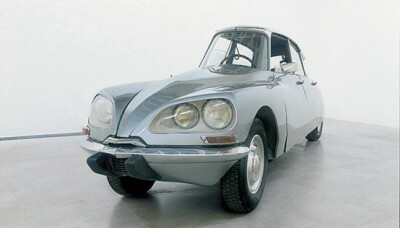 The Citroën DS was introduced at the Grand Palais exhibition centre in Paris in 1955. 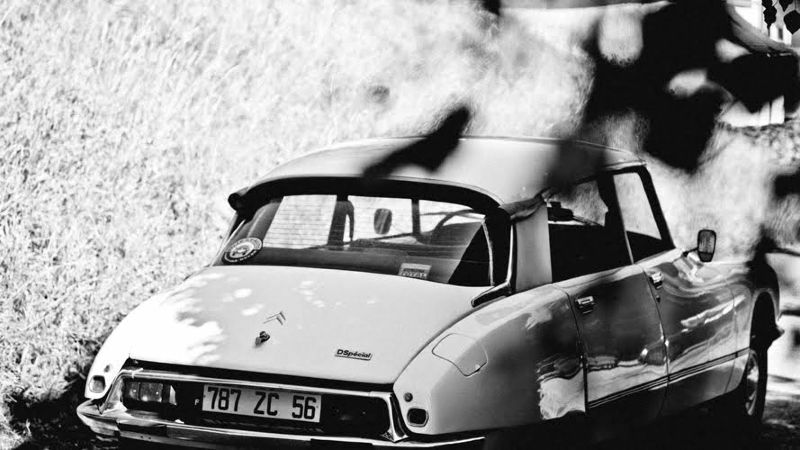 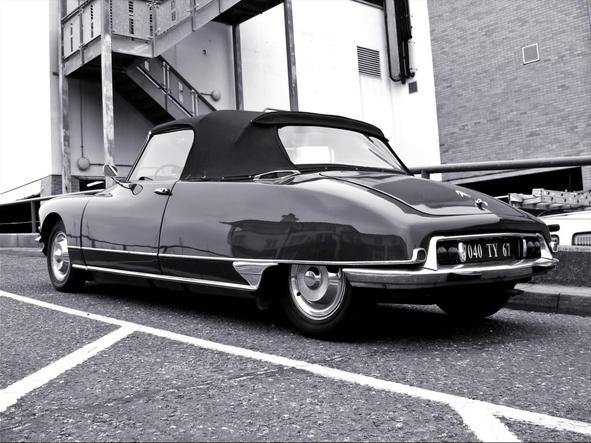 Sculptor and designer Flaminio Bertoni and aviation engineer Andre Lefebvre had been working on the design at Citroën even before World War II, but the DS was a pure product of the moment. 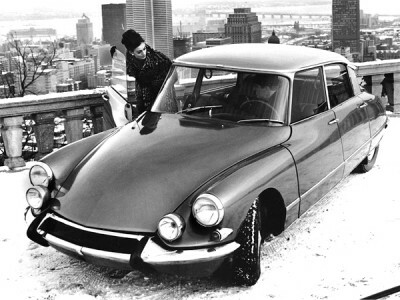 While many cars evoked aeronautic forms—the Rocket Age wonderments of GM or Ghia-bodied Chryslers—the DS is the only car that ever looked like it could fly. 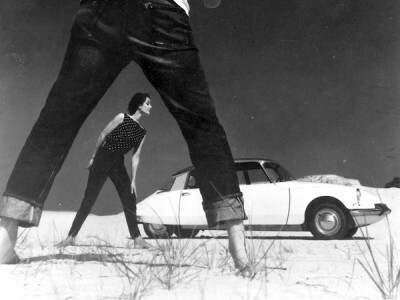 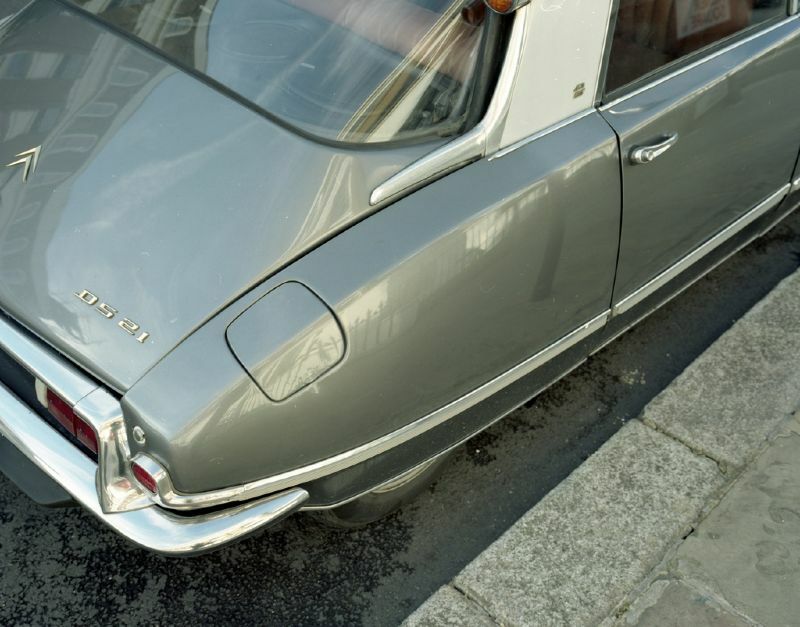 Sixty years after its introduction, the futuristic Citroën DS retains the ability to wow. 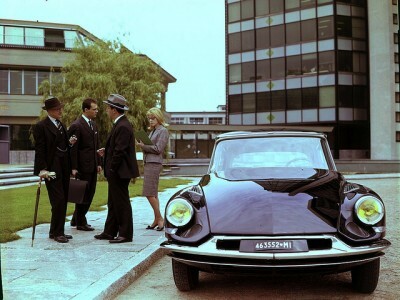 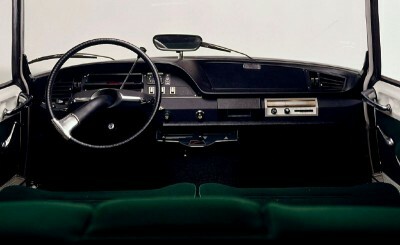 The DS was the most technically gifted automobile of its time and the most quintessentially modern, in that it scorned all that was familiar in prewar design—big, exposed wheels, low roofs, strong shoulders and commanding chrome grilles—in favor of something utterly new, almost out of a pulp science fiction film. 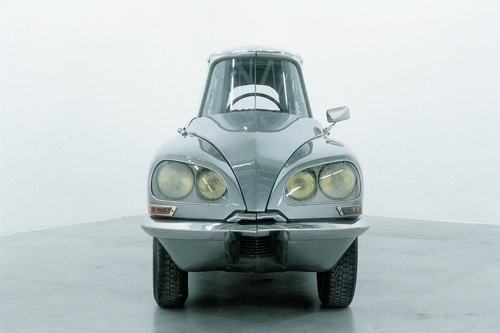 The soul of the DS is in its hovercraft-like stance, attainable thanks to the hydro-pneumatic self-leveling independent suspension, designed by Paul Mages. Basically it’s a French low rider. This complex suspension of hydraulics and pressurized nitrogen, held in the car’s distinctive spherical accumulators, was also what gave the DS its uncanny, gliding ride. 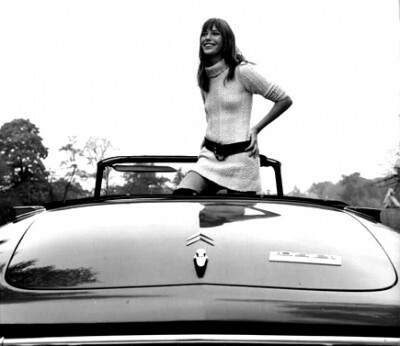 Sixties’ it girl and style icon Jane Birkin and a convertible DS. 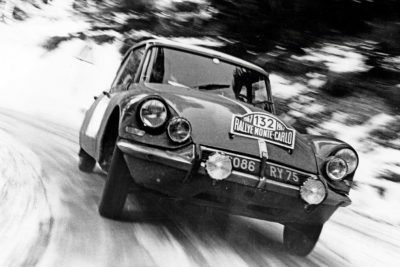 The DS’ first outing was in the Monte Carlo Rally in January 1956 when a car driven by Courtes & Court de Payan achieved a first in its class. 1964 saw the DS reign supreme in the Liège – Sofia – Liège Marathon, Critérium Neige et Glace, and the Acropolis Rally. 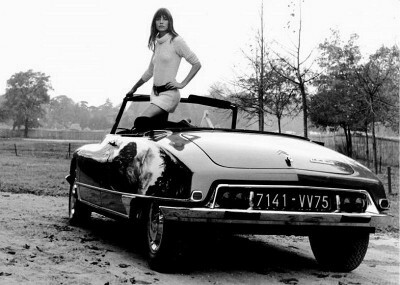 Once again, Lucien Bianchi won the Belgian Rally Championship and Claudine Bouchet won the French Ladies Championship. 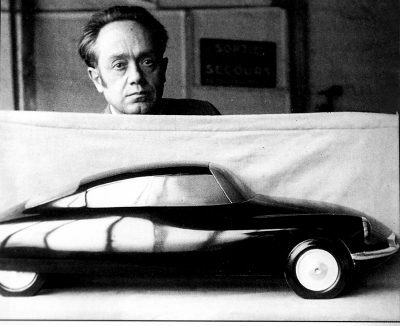 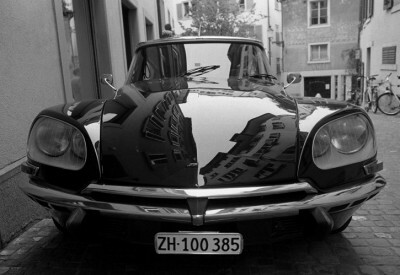 Gabriel Orozco’s Citroën DS sliced lengthwise into three long pieces, then reassembled without the middle part. La D.S., 1993, is a classic of the 90’s art.